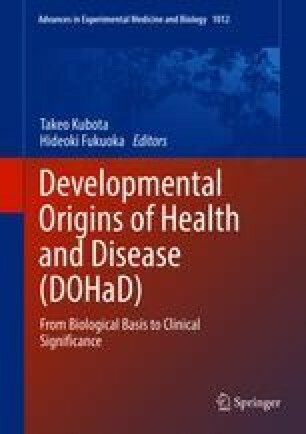 Sincethe theory of DOHaD has been thrown in the spotlight, most attention has focused on environmental effects of the uterus on developing embryos/fetuses. However, the ontogenesis traces back to gametogenesis. Compared to oogenesis, spermatogenesis goes through far more cell divisions and is therefore more prone to genetic variation and epigenetic alterations. This article will mainly discuss recent findings about the effects of the advanced paternal age on the next generation, in relation to the onset of psychiatric disorders such as autism spectrum disorder. We would like to advocate for further exploration on the DOHaD theory in a wider view. This work was supported by Grant-in-Aid from MEXT (16H06530).